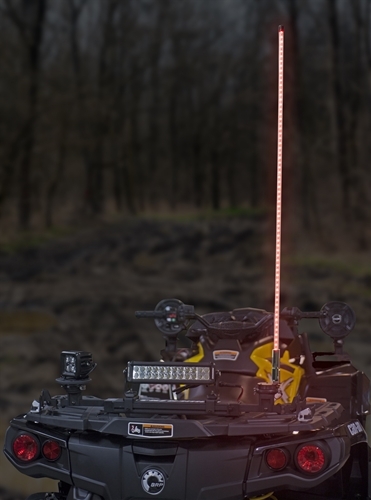 Adding an LED Whip or Spot Light cube to your ATV or SxS has never been so easy. 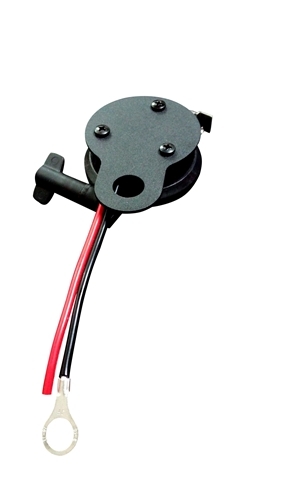 Using our LED Whip and Spot Light Adapter simply bolt your whip or light to the plate, connect the wires, and snap it onto your Powered mount from Power Rail. The LED Whip and Spot Light Adapter uses the same patented push fit, locking connector as all of the other Power Rail accessories, so you can snap it on when you want it, and off when you don't. It's that easy. LED Whips and Spot Lights sold separately. All wiring and connectors needed to attach your whip or spot are included. Push fit, locking, quick release clamp to actively attach to any of the Power Rail powered mounting systems. Works with the Power Rail Bar, Power Clamps, Power Standoffs, and Power Mount surface mount.